Introducing our newest endeavor, Educate by Olivia Management. We are excited to launch an online school that will be home to many courses and tools to help independent artists grow. 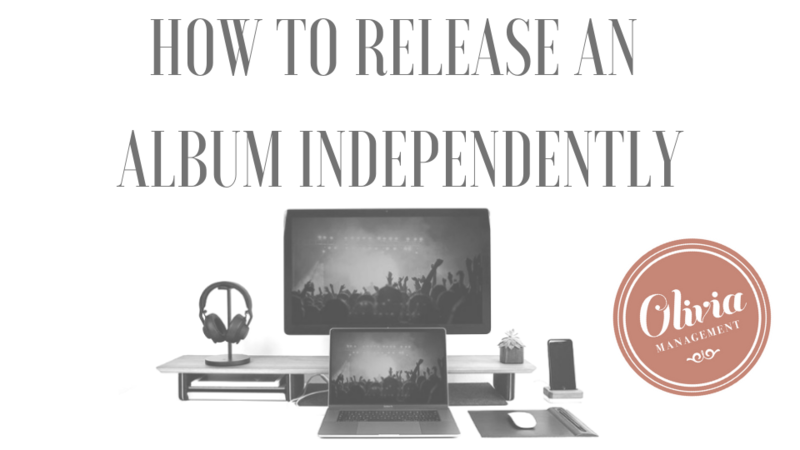 Our first course, How to Release An Album Independently, is available now! Welcome to Educate by Olivia Management! Click HERE to head over to our school and get started! We are tired of just networking events, it's time for an educational music business event! Join us for a four week series including four of the most discussed and requested topics that independent artists and music business professionals face. Pick one topic or attend all four for a discount. Check out the dates, topics, and tickets below! In this class we will explore what an artist manager is, what their job is, when you need one, and how to be your own manager until you reach that point. We'll talk about finding the right management fit when it is time, and 10 tools you can use starting today to help you manage your career efficiently. In this class, we'll break down the job of releasing an album independently in to a manageable timeline. We'll talk about how to release an album on a budget, and how to get creative to get attention. As you start to grow as an artist, you'll want to add people to your team. We're talking agents, publicists, managers, radio promoters, labels/distributors, and more! In this class we'll look at all potential team members, how to find the right fit, how to reach out to them, and how to manage those relationships as your team grows. In this class we'll teach you best practices and tips for growing your social media and running your accounts with ease! Take the guesswork out of what to post. In this class you'll receive our content grid to map out your content. We'll also spend some time discussing Facebook, Twitter, Instagram, and SnapChat ads- how to get the most out of every dollar you spend on social media.